The sleep mode on Windows lets you put your PC in a low power mode, so that you can continue your work from where you left off without having to go through the whole boot up process again. For computers which have slowed down and aren’t booting up fast enough, or for computers that have to be switched off and on again fairly frequently, it’s a pretty neat feature. Of course, we don’t recommend using it all the time, because your PC does need to completely power down once in a while. If you’re working though, and want your PC to switch on, perhaps to complete a task or begin a download, you can set it to do so too! As soon as the wake up is scheduled, you can also start a program. Interested? Here’s how to wake up your Windows PC from sleep automatically! 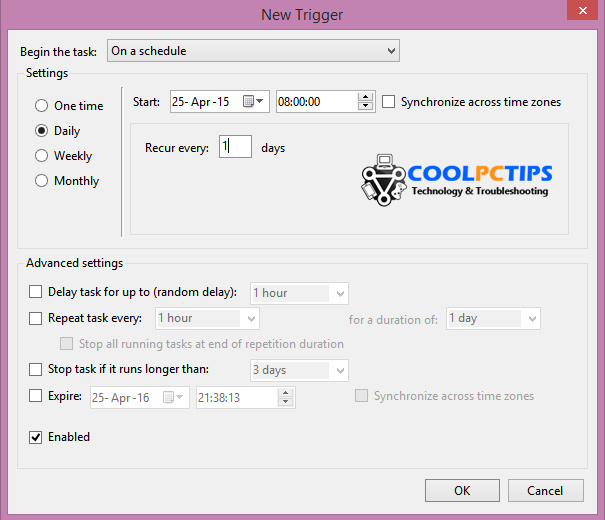 Step 1 – Go to Control Panel>Administrative Tools and click on Task Scheduler. Alternatively, you can also search for it through the Start Menu or Start Screen. 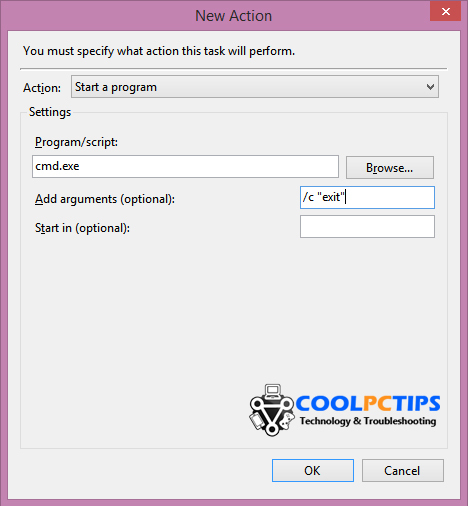 Step 2 – In the newly opened windows, click on ‘Create Task’, on the right side. Name the task as you like, something like ‘Wake up from sleep’ should do. Step 3 – Under the ‘Security Options’ section, enable ‘Run whether user is logged in or not’ and check ‘Run with highest privileges’. Step 4 – Now click on the ‘Triggers’ tab, and then click ‘New’ to add a trigger. Here, you can set the task to run when you want. Set the time and date (if applicable), and set how frequently you want it to repeat. You can also set whether you want the task to repeat that task in that timeframe, and if you want it to expire after a set amount of time. Click ‘OK’ to finish up. Step 5 – Once you’ve set all your time parameters, go to the ‘Conditions’ tab. This is where you can make your computer actually wake up. Check ‘Wake the computer to run this task’, and if you think it’s necessary, ‘Start the task if the computer is on AC power’. Note that for laptops, this option can prevent the computer from waking up unless plugged in. Step 6 – Finally, go to the ‘Actions’ tab to set what should happen when your PC turns on. Click ‘New’, then select ‘Start a Task’ from the dropdown menu and then ‘Browse’ to choose the program you want to start as the computer wakes up. Just browse to the executable of the program and you’re good to go. However, if you just want the PC to wake up and do nothing else, type cmd.exe in the ‘Program/Script’ space, and /c “exit” in the ‘Add arguments’ space. Make sure you use the quotes in the argument, or else it won’t work. This string of commands basically just starts up command prompt and immediately closes it, thus fulfilling the condition of starting up some or the other program. If you follow the instructions correctly, your computer should wake up from sleep and do what you’ve told it to! Of course, if it isn’t apparent already, the computer has to be on ‘Sleep’ mode and not shut down. The latter option will make the task completely irrelevant. Do let us know if you were successful in setting up a scheduled task to wake up your computer from sleep, or if you need any help doing so.